Like the weather in New England, it took almost no time at all for 2017 to usher in some big changes in the seascape. With a banner 2016 under our belts – thanks in no small part to our active boater community – we're making fast tacks toward another winning year. Today, we'd like to share with you our acquisition of Marinas.com. According to Google, more than 74% of travelers research, plan, and book trips online. Dockwa’s marina and boater communities each tripled in size in 2016, growing at an unprecedented rate relative to our counterparts in other realms of the hospitality and travel industries. Call us crazy, but we here at Dockwa estimate an approximate zero likelihood that this trend will reverse. So we're staying our course while employing tactics to develop more online and mobile technology for the boating world. Why pursue an acquisition? In short, because the boating industry has spoken. Many of you already rely on Marinas.com to plan your time on the water, but for those who may be unfamiliar: Marinas.com is the world’s #1 searchable marina directory, providing boaters with comprehensive intel on more than 75,000 marinas, anchorages and marine locations. Marinas.com was a first for the world of boating: when the site went live back in 1995, it represented one of the marine industry's earliest forays into the digital age. 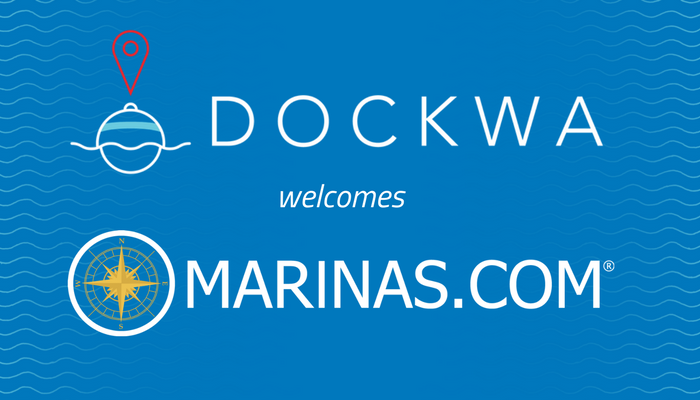 Most of you reading this are avid supporters of both Dockwa and Marinas.com. We want to reassure you that for the foreseeable future, both sites will continue functioning as they have been. Marinas.com will remain the excellent boating resource it has been for the past two decades, and Dockwa will continue to focus on creating innovative tools to connect boaters with marinas in real time. We'll communicate any future substantial changes with plenty of advance notice. In the next few months, we'll chart a course to integrate the sites in a way that will make it easier to research and reserve dock space. We'll also widen our selection of marina partners, so that booking is a breeze no matter where you're tying up. In addition to the task of weaving seamless reservations across both domains, we have some exciting side-projects at hand. We've inherited some cool assets from Marinas.com, including the BoatBuzz boater forum, an influx of new marina partners, more than 100,000 new boating customers, and new territories in Central America, South America, and parts of Europe. 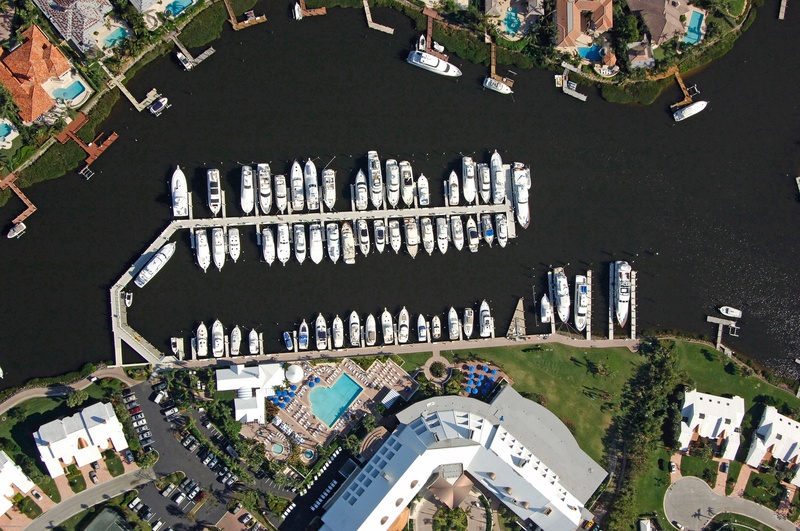 Among other notable features, Marinas.com hosts a wealth of highresolution aerial navigation photography of marinas, inlets, waterfront communities, and nautical points of interest. In Dockwa's relatively brief time in the marine industry, we've learned that a picture truly can speak a thousand words – particularly when it comes to navigating new waters. We look forward to integrating those photos into the Dockwa app and site. What does this mean for Marinas.com? As Bruce and Pam, the team behind Marinas.com, pass the helm on to us, we'll continue their commitment to excellent customer service and carry on their spirit of innovation. At the risk of being overly-sincere, there's another reason this development is significant for Dockwa. To us, this demonstrates something beyond a negotiation or a passing of the torch. In just two years since entering the marine industry – an industry sometimes characterized by its unwillingness to change – boaters and marinas have supported Dockwa's mission to such an extent that we can confidently pursue an expansion of this degree without hesitation. Thank you for your overwhelming support! Every reservation, every feedback email, and every boater you share Dockwa with helps us grow and improve. As always, we want to hear what you think. To share your thoughts with us, please contact info@dockwa.com. PS: Know a marina that should be on Dockwa? Let us know and we'll get'em on the horn. Better yet, if you work with a marina, click here to chat with us about coming aboard! Click here to read the full press release on this announcement, and click here to share the news on Facebook!